Uninstalling software under Mac OS X is generally a straightforward procedure — just delete the program from the Applications folder. 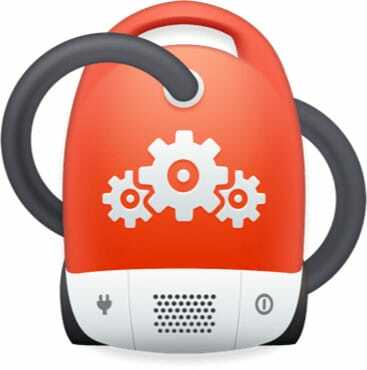 Few vendors offer uninstallers on the Mac, and generally they’re not necessary. Most programs don’t run background components or alter system settings files (like the Registry on Windows), and leaving old preferences and support files on the hard drive generally doesn’t do much harm. But if you are trying to remove an old or corrupt component, reinstall software to change a serial number, or just free up disk space, removing all components of the old application can be important. These components include the application itself, preferences and support items, and sometimes hidden files or kernel extensions. Anyone who’s had problems installing an Adobe CS application or removing Symantec AntiVirus will appreciate how hard it can be to fully remove old software. 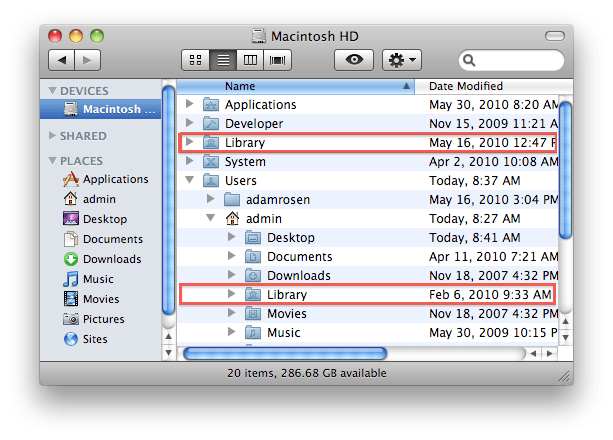 Be default, Mac OS X software is stored in the Applications folder on your hard drive. Most programs are single icons (iTunes, Firefox), while others contain one or more folders full of items (Adobe Acrobat, Microsoft Office). You can also occasionally find applications on the desktop, if dragged there during installation or moved from the Applications folder. Drag the program’s icon or folder to the Trash to begin the uninstall process. If you are not the user who originally installed the software, or your are not an admin user on your Macintosh, you will need to enter an administrator’s name and password to continue. Note: the icon for most programs is actually a bit of an illusion. What you’re seeing on the hard drive is an application package, a folder full of items including the executable program code and supporting files. When a package is labelled with the .app extension, it appears as a single, launchable icon in the Finder. If you’re curious whats inside, right-click (or control-click) on the icon and select Show Package Contents. There are two locations on your hard drive, both named Library, where programs store their preferences and supporting files. The first Library is at the top level of your hard drive, the second is inside your Home Folder. Removing items from both these locations is necessary to completely uninstall software. In these two locations you’re looking for non-Apple folders full of items: Adobe, Microsoft, etc. For the vast majority of applications that’s all you need to remove. Empty the Trash to complete the process. If you get a message that an item is “in use and can’t be deleted” reboot the Mac, then try again. If you’ve deleted everything from the Applications and Library folders and some vestiges of old software still remain, you may be dealing with a kernel extension or hidden file. These items will not be obvious to find, doing a Google search about the components for your specific software situation is highly recommended. Software that uses background processing – anti-virus and security programs, printers, device sync software – often install one or more kernel extensions. If your old installation of Symantec Utilities keeps telling you it’s out of date six years after you’ve deleted the program, chances are there’s still an old kernel extension loading up. Warning: kernel extensions are necessary for correct operation of your system. Do not move or delete any items unless you have the ability to redo changes made by booting from a second Macintosh or drive and restoring changes made to the first hard drive. Kernel extensions are located in /System/Library/Extensions and end with the extension .kext. Again you are looking for items with the name of the program or vendor in the name. For example, with old copies of troublesome Symantec software you might find SymEvent.kext and SymOSXKernelUtilities.kext lurking on your system. 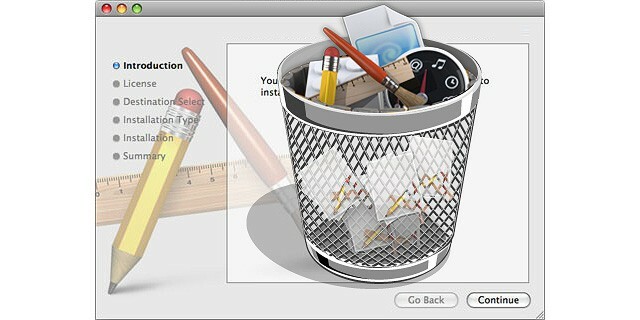 Drag any probable items to the desktop first to make a copy, then move the original to the trash. Don’t empty the trash yet – reboot and see if the issue is fixed. If not, restore the item and try another. Hidden files are items whose name starts with a period (.) They don’t display in the Finder by default. Programs sometimes use hidden files for authentication purposes, many are located in your home folder. You can use Terminal (inside Applications/Utilities) to list the contents of the directory in question and delete the offending item. Using sudo to do the deletion will require you to enter an admin password when prompted.